Arranged by Various. Method/Instruction; Promotional Packet. Halloween Favorites. Other. Alfred Music #00-105478. Published by Alfred Music (AP.105478). This Value Pack includes Halloween Favorites Books 1-4. 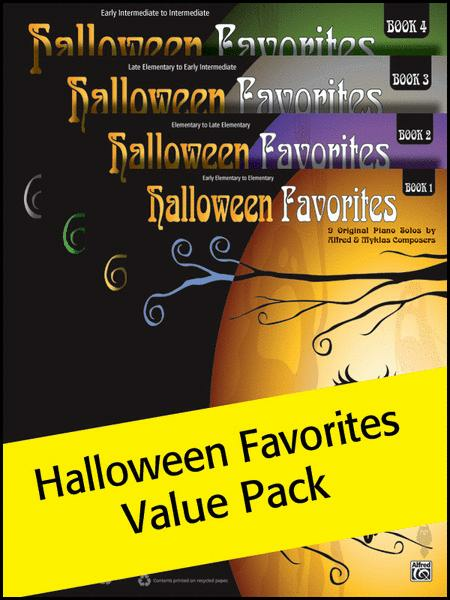 Throughout the years, Alfred Music and Myklas Music Press have published solos for the Halloween season that have become favorites of both students and teachers. The pieces included in this series represent the most popular and effective solos drawn from the catalogues of both companies.